XGate is the world’s leading satellite data services suite, relied on by the satellite service providers and individual users alike. It offers the services satellite users need, with the data optimization to make it easy and affordable to use. Email, web, weather and social media via satellite are suddenly fast and affordable, and available on the devices customers want to use. XGate is saving users valuable airtime dollars while optimizing (and increasing) satellite airtime usage. 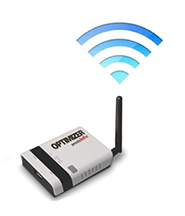 Individuals pair XGate with the RedPort Optimizer WiFi Hotspot and Firewall to achieve the most compression, ease of use, and utility for a satellite phone connection. Multi-user installations of XGate run on RedPort wXa routers or dedicated PCs to provide a complete email solution for ships and remote work sites. Ship operations and crew welfare communications are both optimized with these enhanced versions of XGate. 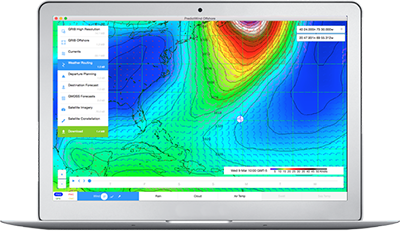 Leading software providers from around the world have adopted XGate as the de-facto standard for satellite data delivery, including PredictWind Offshore, Expedition, Weather4D, iNavX, SailGRIB, and Weathertrack. XGate compatibility is built into satellite routers, terminals and docks from providers including Globalstar SatStation and Sattrans. Why Use RedPort XGate Satellite Email? X Gate is the easiest and fastest way to check and send email while on the water or in remote locations. Without XGate, connecting to data over a satellite phone can be difficult: uncompressed email and web-browsing over a slow satellite connection means long wait times, dropped connections, and expensive airtime at the end. Furthermore, connecting a mobile device or laptop up to the data feed created by a satellite phone often requires complicated setups, driver compatibility issues, and software. Lastly, getting satellite to work with iOS, Android, Mac, Linux, and some Windows systems is often impossible. XGate solves all these problems and delivers unbeatable satellite communications. Best of all, XGate works with either a dedicated email address for maximum security and performance, or your existing email services, like Gmail, iCloud, Yahoo! Mail, or your corporate mail service. All easy to use, all while saving up to 95% on valuable satellite airtime. Working in tandem with RedPort Optimizer, XGate is the world’s first satellite email service to connect mobile devices to a satellite phone. From iOS mobile devices like iPhone, iPod Touch, and iPad to any Android mobile device, and including any current Windows, Liunx, or Mac computer – XGate and Optimizer keep you connected. It’s easy to get started. Just run XGate and it will do the rest – set up your account and dial out your satellite phone when you decide. XGate also works with an IP-based satellite phone or terminal. This includes phones and terminals from all the major satellite providers like Iridium, Inmarsat, Thuraya, Globalstar, VSAT, and MSAT. XGate provides all the benefits of a fully-featured email service – right over a satellite feed. With XGate, emails can be written and read offline (saving airtime) and then, with a press of a button, XGate dials the satellite phone, makes the connection, and hangs up when it’s done. If the call drops (which can be a problem for some satellite phones in some regions), XGate can redial and simply pick up the data transfer where it left off. Only XGate also eliminates the back-and-forth of email protocols before using satellite airtime. XGate provides you with a new email address or maximum security and performance, and it works with your existing addresses such as Gmail, Yahoo! Mail, Hotmail, or your corporate address. Browse the web over satellite with compression. XGate’s XWeb compression loads pages up to 10 times faster, compresses pictures and text, scans for virus and malware, and provides overall protocol compression. This means you get your web-pages 3 to 5 times faster (and benefit from 3 to 5 times the airtime savings). New! Free GRIB weather file viewer included with XGate. Update friends and family on LinkedIn, SailBlogs, and Twitter right through XGate. Allow friends and family to follow adventures in real time, right as you experience them. You can even post pictures (and benefit from the airtime savings when XGate compresses them down). XGate uses only 5% of the data of a standard email program, on average. That means savings of up to 95% on satellite airtime costs compared to using regular email without XGate. Faster, cheaper airtime means more usage in the long run, because you get so much more for your money. These compression savings mean that a data transfer that would take 60 minutes or more over a standard Iridium connection would only take 3 minutes with XGate. XGate “BigMail” saves airtime dollars by allowing users to limit large file sizes. By setting a filter, you will receive a notice when a “BigMail” arrives through XGate with the subject line of the email, and the size. At that point you can choose to download it over your satellite connection, or save it on the server until you have access to another connection. XGate includes an XGate email address, but you can use your own familiar email address and client (such as Outlook or Apple Mail). There are even options to set the send and receive addresses so others see whatever email address you would like to show them. Update friends and family on LinkedIn and Twitter right through XGate. Allow friends and family to follow adventures in real time, right as you experience them. You can even post pictures (and benefit from the airtime savings when XGate compresses them down). SailBlogs with XGate – Now Free! XGate also offers satellite SMS notification of new emails via Iridium or Globalstar phones. XGate works as a full email server for installations with local area networks. XGate servers scan every message for viruses and SPAM, blocking them before the go over your satellite system, saving you airtime and keeping your machine clean. XGate also has full DES/PGP encryption for optimum security. For a small additional monthly fee, these premium add-ons for XGate open up the possibilities and functionality of XGate services. XGate will fetch and forward email from multiple addresses so you can access your email accounts with the same speed and efficiency as XGate. XGate works with either a dedicated email address for maximum security and performance, or your existing email services, like Gmail, iCloud, Yahoo! Mail, or your corporate mail service. Not all XGate features are available on each platform. XGate provides email and data services for every level of the recreational maritime market. Because XGate works on a flexible subscription basis, it’s perfect for short-term activities like offshore racing and seasonal cruising, coastal cruising and regattas, to more long-term activities like liveaboard cruisers and sailing. XGate is perfect for those traveling to remote locations. Hikers, explorers, and mountain-climbers all use XGate to keep in contact with family and friends. Campers, hunters, and even RVers in remote locations use XGate. We’ve even had clients set up WiFi cafés in their hunting or fishing lodge for guests. Want to do email in the sky? XGate is a perfect fit for your airborne communication needs. We’ve helped set up WiFi cafes in airplanes, and provided airlines and pilots with the services to allow their guests and crew to access the internet onboard. With XGate, it’s possible to stay connected, even at 30,000 feet. Remote workers like offshore oil rigs and exploration expeditions use XGate. Hospitals, ambulance groups, insurance adjusters and others in the first responder industry find XGate to be unparalleled for keeping in contact during crises. We provide service to many levels of government, including the Coast Guard, Police, and research divisions.